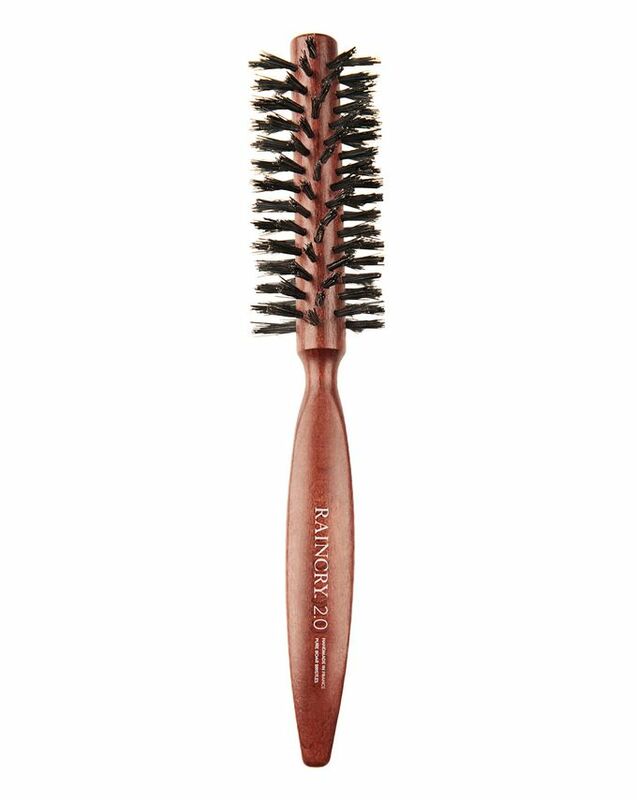 A whole different kind of hairbrush, RAINCRY’s ultra-luxe ‘Smooth 2.0’ range is handcrafted in France from pure, midnight black boar bristles and a triangular-carved beech wood handle. But what makes these brushes special, as well as gorgeous? The unique bristles condition by distributing natural oils evenly from scalp to ends, while also helping to close the cuticle and enhance shine. The ideal match for your hairdryer, the spiral design increases the brush’s heating surface and channels air effectively to reduce drying time and damage. This small size is ideal for boosting short hair’s polish and shine. An essential addition for all those ‘in the know’, RAINCRY’s SMOOTH 2.0 - PURE Natural Bristle Brush - Small will make you wonder why you ever had another hairbrush. Created thanks to the combined brilliance of stylists’ expertise, cutting-edge technology and timeless craftsmanship, this brush is handmade in France from pure, ‘first-cut’ Himalayan boar bristles – the strongest, cruelty-free portion of the bristle from the root – and sustainable beech wood, lengthened and triangular-carved to create a comfortable, durable yet lightweight handle. Free from nylon, pure boar bristles offer the unique benefit of conditioning hair by transferring natural oils (as well as any product) from scalp to ends, while also helping to enhance health and shine by sealing the cuticle. The special spiral design of the brush head increases the heating surface and channels the air effectively, reducing blow-drying time and preventing snagging and damage. This small (1.8" / 45mm) size is ideal for making short hair smooth, polished and shiny. Brushing your hair will never be the same again! For a straight and smooth look, this distributes product and oils throughout the hair and closes the cuticle to enhance natural shine. For the best at-home blow-dry follow these steps: Start at nape of neck and take one to two-inch sections, using a clip to secure the rest of your hair. Starting at the root, be sure blow dryer is pointing away from scalp, heating the hair not the brush, and pull brush slowly downwards towards shoulders. Working slowly–you will dry the hair faster and smoother in less time—blow dry both sides of the hair, using the brush on the “top” and “bottom” of section. Doing so will require only two to four passes. Twirl the ends to finish and repeat on steps on next section of hair.